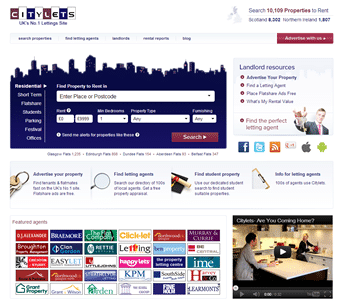 Citylets is Scotland’s leading site for residential lettings. They had already developed new site design and needed help to implement the new site in HTML. A key feature was the introduction of a new search control – a “combobox” – that would allow two existing controls to be merged and offer end users a simpler, more compelling experience. We helped to create and implement the control to their specification, providing advice about the best approach. 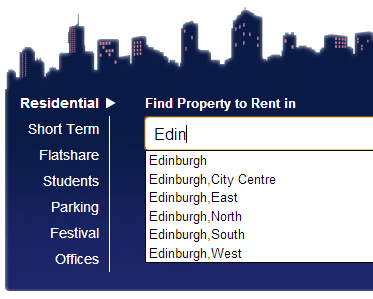 Users can either type the first few characters of their chosen location or postcode, or can select from a list of key areas without typing.